Introduces Baby To The Enjoyment Of Music. 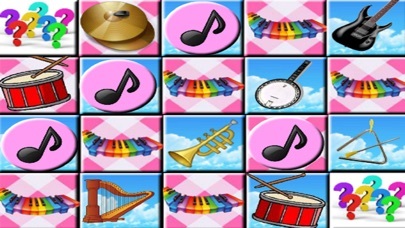 This App Covers All Types Of Song/Nursery Rhymes/Instruments. Baby Can Easily Tap And Play Featured Piano Solos, Percussion, String Instruments & Nursery Rhymes. The Musical Surprise Button Plays 7 Other Tunes. * Large Tiles For Baby To Easily Tap And Play. * Baby Will Learn To Find Their Own Favourite Song/Nursery Rhyme/Instrument. * The Banjo And Guitar Will Get Them Dancing Especially.